With many visual textures including fence wood,iron and leather. Stunning colors that include amber,red, turquoise and burgundy. Great looking and highly decorative perfect to place on a piano or hutch. 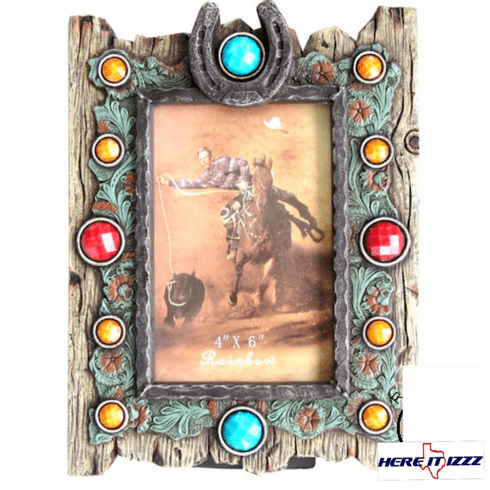 Any 4x6 photo will be enhanced visually.Iron Horseshoe finish off the look.